● Join IHG’s Rewards Club and you’ll gain benefits such as points that never expire, free Internet at all of its locations worldwide, and more. ● Take advantage of Crowne Plaza Hotels’ Best Price Guarantee. The company will give you a free first night’s stay should you find a lower rate for one of its hotels on another website. ● Crowne Plaza has an ongoing Book Early and Save promo for customers who book at least 7 days in advance of their arrival. You can save up to 20% on your advance booking, though many participating hotels provide less than 15% discounts through this offer. ● Customers 62 years old and up can enjoy a senior discount at any participating Crowne Plaza Hotel. Individuals who can present proof of membership in a retired persons’ organization are also eligible. ● See the Hotel Deals page for all current deals aggregated in one place. Offers include the Best Flex with Breakfast deal for free breakfast included with your stay, as well as special hotel packages centered around specific themes (in the past these have included Honeymoon on Us and Pizza Delivery packages). The InterContinental Hotels Group incorporates a variety of different hotels that you can stay at around the world. Some of their most popular chains include: Crowne Plaza, Holiday Inn, and the Intercontinental. On their website you will be able to book reservations in any of their hotels in the destination that you're traveling to. You will also be able to book different rooms for meetings and events such as weddings. To make sure that you're getting the best possible deal it is essential that you visit the “Offers” page as you may be able to find free room upgrades or save up to 10% off of your hotel stay. 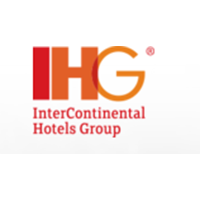 For most up to date offers check out InterContinental Hotels Group on Facebook and Twitter or contact InterContinental Hotels Group Support for any questions.